Former LSU football coach — and grass-eating aficionado — Les Miles has been away from coaching for 18 months, and while he’s not giving up on coaching again, he’s currently enthusiastic about his acting career. “I have several projects that I’m looking at. I’m reading for those,” Miles said in a recent interview. You’re reading scripts and auditioning for movies? “Absolutely!” a confident Miles proclaims. It was known two years ago that Miles would be making a cameo as a cop in the independent film Camera Obscura, which was released in 2017. And photo proof of Miles as a cop in the film surfaced in July 2016. 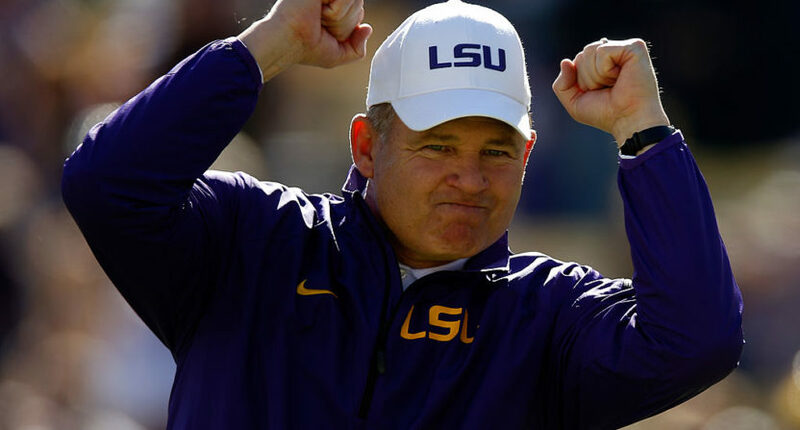 Les Miles is appearing in a movie as a cop. That's old news. Miles, 64, also made a cameo as a football scout in the 2014 independent film Where the Game Stands Tall, and will have “his biggest role yet” in Angry Men, a film inspired by the 1986 Challenger explosion that will be released in June. Miles plays a NASA chief in the movie. They describe him as a passionate, hard-working novice who strives for perfection, a driven individual who just might have a future on the big screen. Miles still intends to continue working as a college football analyst for Fox, and he’s not giving up on coaching, but he’ll be picky about where he’d coach. The job must be at “the right place,” he said, and must have an athletic director and president committed to winning at the championship level.